Smart lighting systems are pretty great but many are heavily dependent on your Wi-Fi network. 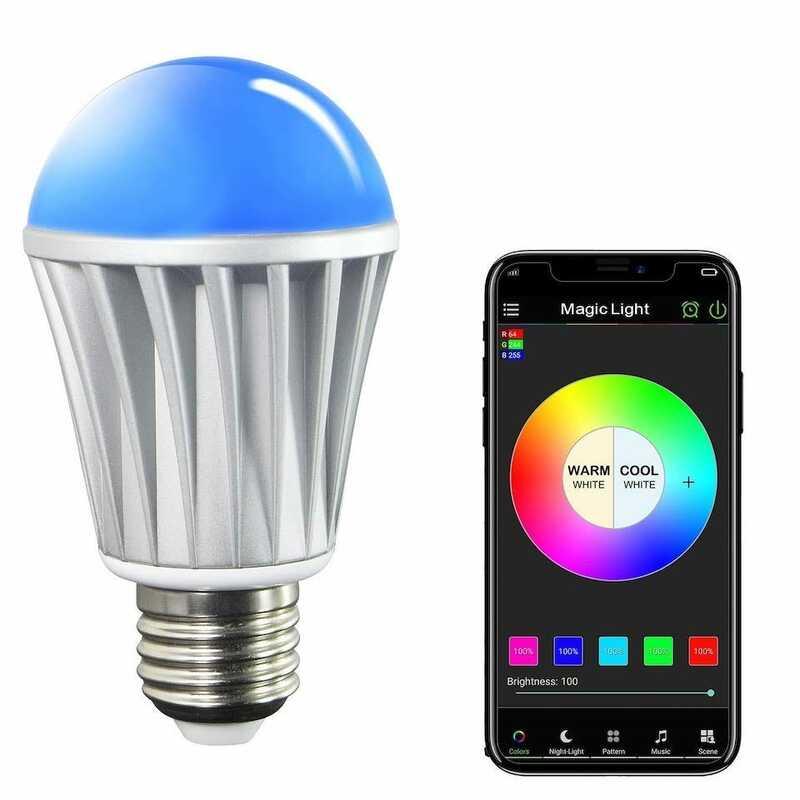 We’ve checked out the best color changing smart bulbs that merely require a Bluetooth connection. 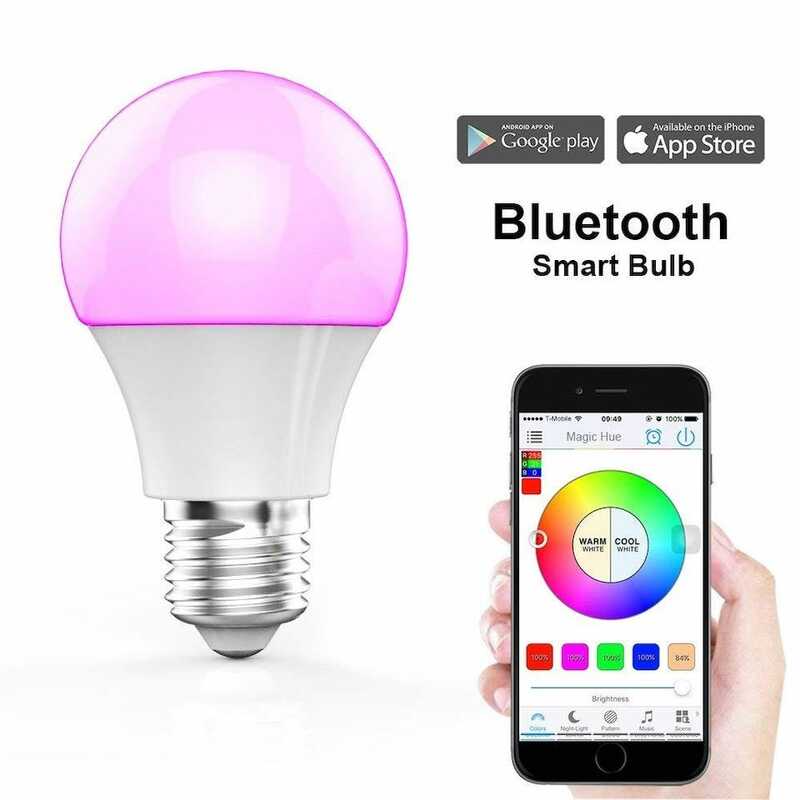 Now, you might be wondering why you need bulbs that solely require Bluetooth. 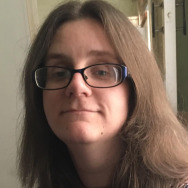 You’re online reading this after all, right? It depends on your situation. How about when you want some tech-based comforts in your garage but your Wi-Fi network doesn’t extend that far. Or your family cabin in the woods where you get away from it all? Or the Wi-Fi network in your dorm is a total hassle to use. Sure, you could install a Wi-Fi network specifically for such purposes but that’s a excessive just for smart bulbs. 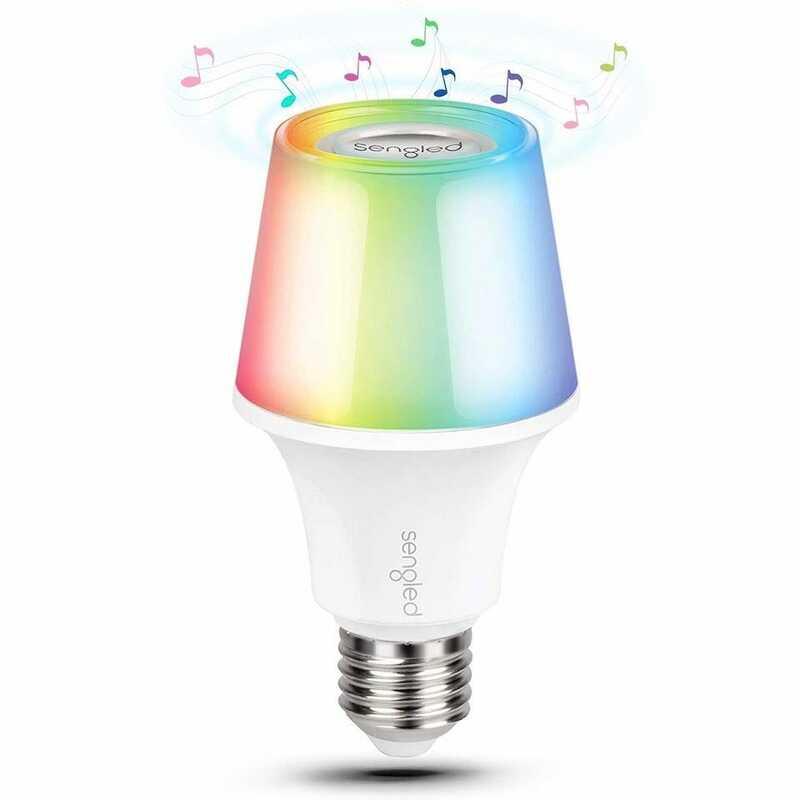 Buy one of these Bluetooth smart light bulbs and you get the benefits of color changing smart bulbs, without the need for anything more complicated than your smartphone. The market is a little more restricted than when it comes to smart bulbs that require Wi-Fi or a hub, but there are still some quality choices out there. 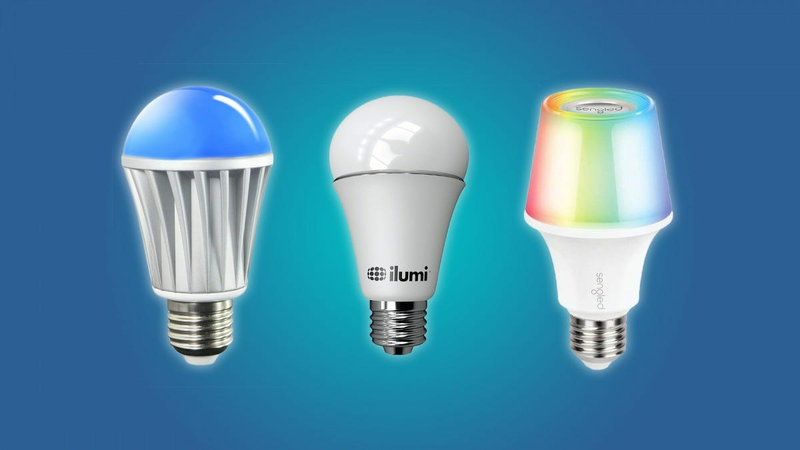 Here are 5 of the best color changing Bluetooth smart bulbs. The Ilumi Bluetooth Smart Light Bulb looks a heck of a lot like a regular light bulb but it does way more than that. The unassuming bulb offers 16 million colors and shades of white so you can get exactly the color you want at any point. 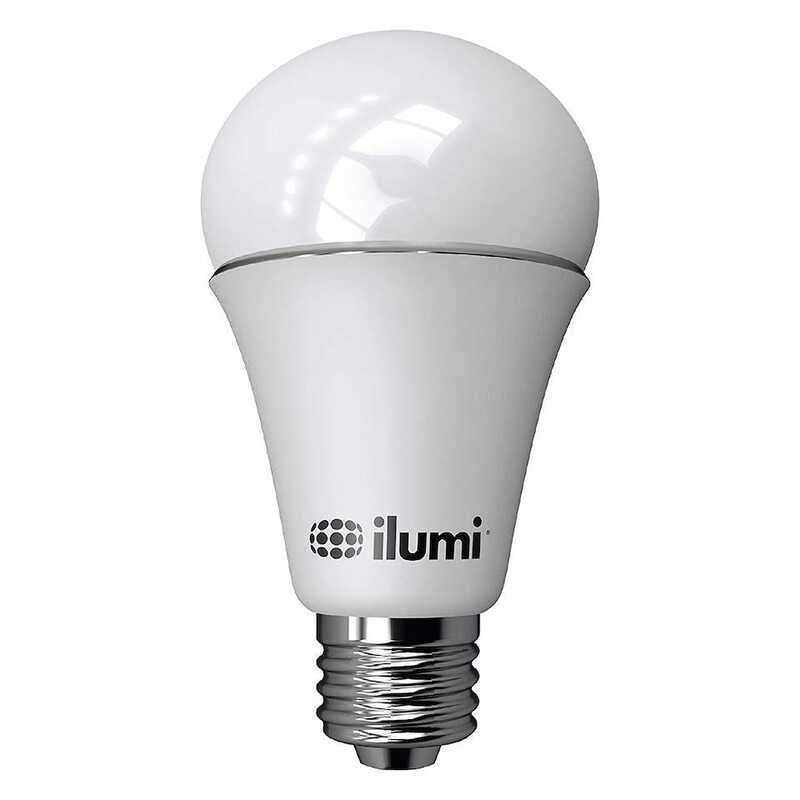 It uses Bluetooth mesh connectivity so that you can control up to 50 different bulbs via the Ilumi app. It’s simple enough to tweak color and brightness for every bulb, or you can opt to group them together dependent on room setups. There are smart scheduling features along with music sync functionality too. Plus, you can implement cool effects such as a Halloween style theme or a romantic look for Valentine’s Day. It’s pricey for one bulb but it’s feature rich for those keen to avoid the need for Wi-Fi. The Sengled LED RGB Smart Bulb isn’t just a smart light bulb. It also has a built-in speaker that hides away, looking just like a regular light bulb. Perfect for when you have limited space, or you simply want a neat audio solution, it’s the kind of gadget you’ll immediately wonder how you went without. 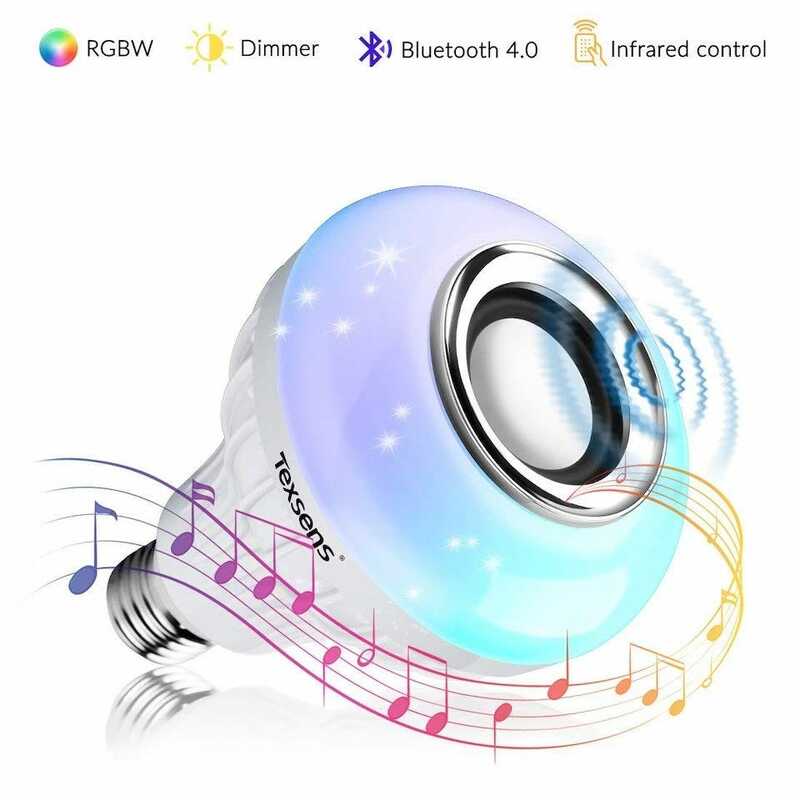 The speaker works competently with the option to stream music from pretty much any source imaginable via your smartphone, and the lighting itself is pretty strong. There’s a choice of over 16 million color variants and you can pair them up with the beat of the music if you want. Additionally, an auto sleep timer is perfect for soothing you to sleep. There’s Alexa support too (although, obviously, that’s going to require a Wi-Fi network). When you don’t need Wi-Fi support or anything more complex than a light bulb that changes color, you can find some pretty great bargains. That’s certainly the case with the Magic Hue Bluetooth Smart Light Bulb. It only costs $17 but for the price, you get the same 16 million color palette of more expensive bulbs, as well as some useful features. It’s possible to set up a Night-Light function mode, as well as schedule the bulbs to switch on or off at set times. There’s music sync functionality too. It all sounds a little too perfect, right? Well, you get what you pay for. The app isn’t as intuitive as more expensive options, and the bulb isn’t the brightest out there. Still, if you’re dipping your toes into smart lighting, this is a neat starting point. Wait a minute—why don’t I buy the Texsens LED Light Bulb Bluetooth Speaker instead of the Magic Hue Bluetooth Smart Light Bulb. That’s what you’re thinking, right? Well, there’s a hefty catch to the Texsens LED Light Bulb Bluetooth Speaker that makes it slightly less appealing. It doesn’t have a smartphone app to control the lights with. Instead, it stays old fashioned and uses a separate remote control to manipulate the bulbs, and that might not sound so attractive to many. However, for a mere $15, you get a smart bulb comparable to a 50 watt halogen bulb with plenty of colors to choose from. You also benefit from a built-in speaker which works via Bluetooth so you can stream your favorite music and audio from your smartphone. Not bad at all for the bargain basement price. One of the most rewarding benefits of having smart bulbs is being able to schedule them accordingly. The MagicLight Bluetooth Smart Light Bulb is particularly good for this. You can schedule it to come on at specific times, but you can also use its sunrise and sunset mode so that the bulb gradually brightens (or dims) according to the time of day. If you’re prone to feeling a little down about the dark mornings or the early nights, it’s a particularly great tool for lifting your mood. As well as that, there’s a bevy of useful features like being able to control a single bulb or a group of them via your smartphone. Plus, there’s the near essential option to sync your music in time with the lights. Really though, it’s the powerful scheduling options that make this bulb stand out from the crowd. If you just need a simple Wi-Fi cam that can capture video, then there are plenty of options available. However, if you want one that has facial recognition, the list gets much shorter. The good news is that there are still some great options to choose from. The Nintendo Switch came out earlier this year and the hardware looked great, but a few questions still lingered in the air. Would it have enough games to be worth it? Are you really going to play Mario Kart on your picturesque rooftop? After more than six months we’re taking a look back to see how the Switch holds up.